I own a pair of shorts that David Hasselhoff wore. I do not make this statement lightly. I understand the possible ramifications of such a public confession and so, before the inevitable questions arise, I assure you that my possessing such an intimate item of clothing is not a fulfillment of some frightening perversion. I categorically deny having any psychosexual fantasies about a wrinkly pop star who used to take orders from a 1982 Pontiac Trans Am. No, I have his briefs because I love SpongeBob SquarePants. Granted, that justification may actually be more disturbing. The SpongeBob SquarePants Movie was originally intended to end the massively popular Nickelodeon cartoon series, but after grossing over $140 million worldwide, a fourth season was ordered afterwards, albeit without creator Stephen Hillenburg at the helm. 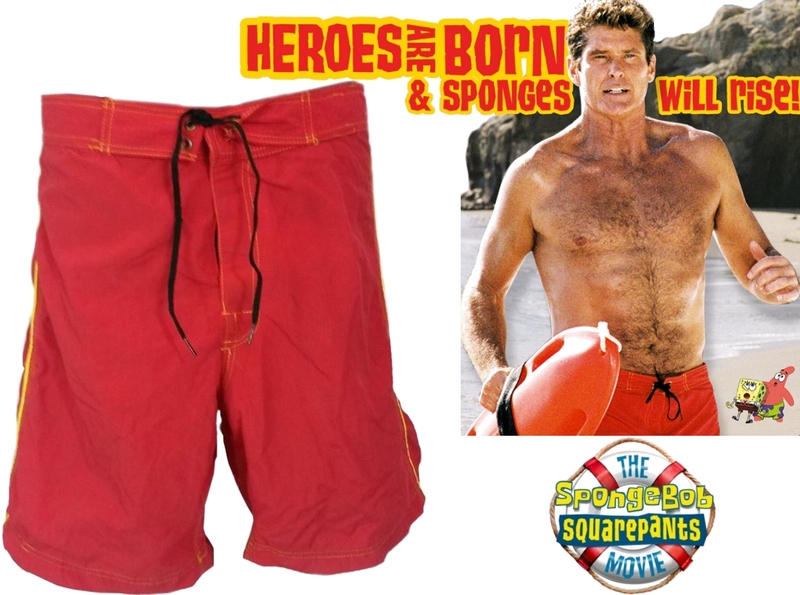 While being an animated film, one of its most memorable scenes is when SpongeBob and Patrick surface on land and meet a live-action Hasselhoff. The Hoff gentlemanly lends his woolly back to ferry them across the ocean with the speed and precision of a finely-tuned outboard motor. A 12-foot, 750-pound animatronic replica of the Baywatch beefcake was created for filming the close-ups (link). After shooting wrapped, Hasselhoff took home the massive prop, which cost $100,000 to build and is composed of two sections brimming with yak hair, and had it consigned to Julien’s Auctions a decade later to help raise money for the Starlight Children’s Foundation. However, according to the Los Angeles Times, the oversize dummy, which had an estimate of $20,000-$30,000, was pulled at the last minute because the non-dummy had grown too attached to it (link). As for the actual swim trunks that once belonged to the real-life actor, they’re in my possession now. I won them from a movie memorabilia auction (unsurprisingly, I had no competition) to tangibly capture my affection for SpongeBob‘s irreverent humor, and it doesn’t get much more irreverent than these dirty drawers. Ce n’est pas un slip de bain, this is modern-day Duchamp: Dadaistic, rebellious, and faintly smelling of Carl’s Jr. They were immediately dropped off at the dry cleaners. 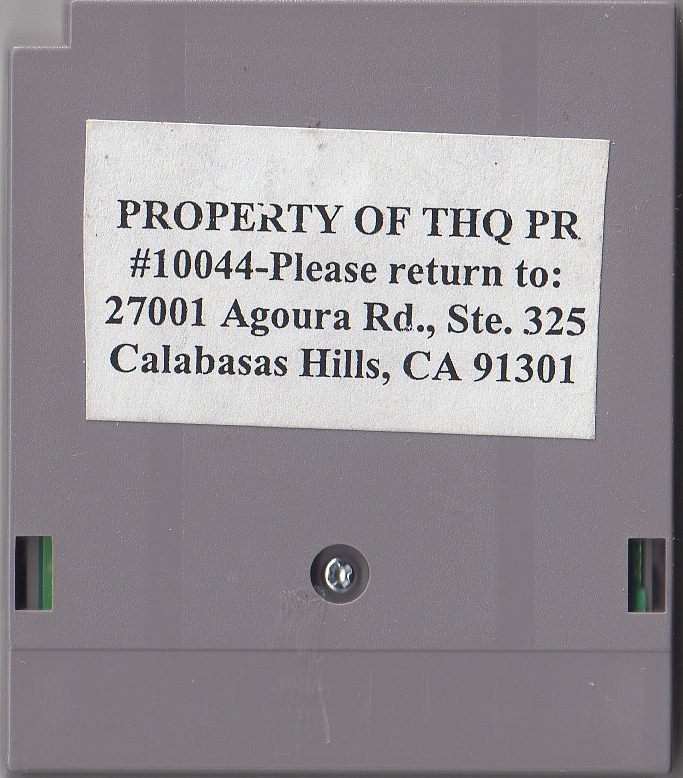 In October 2000, a little over a year after the world first heard the high-pitched squeals of the bubbly little sponge who lives in a pineapple under the sea, THQ announced that it had partnered up with Nickelodeon in an effort to start squeezing the little square fellow dry. The agreement allowed the publisher to have the exclusive rights to SpongeBob’s licensed video games through 2004, when the movie hit. 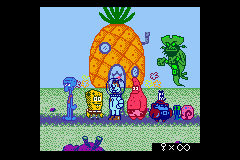 SpongeBob SquarePants: Legend of the Lost Spatula for the Game Boy Color, released in March 2001, was the first title to star the kooky underwater inhabitants of Bikini Bottom. 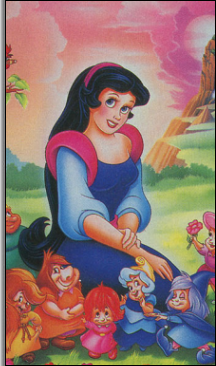 According to Nielsen ratings at that time, the lovably goofy television show hooked in around 28 million viewers each month, 9.8 million of whom were adults. This original hand-painted master background from the season one episode “Squidward the Unfriendly Ghost” tells the tragic tale of the Flying Dutchman. 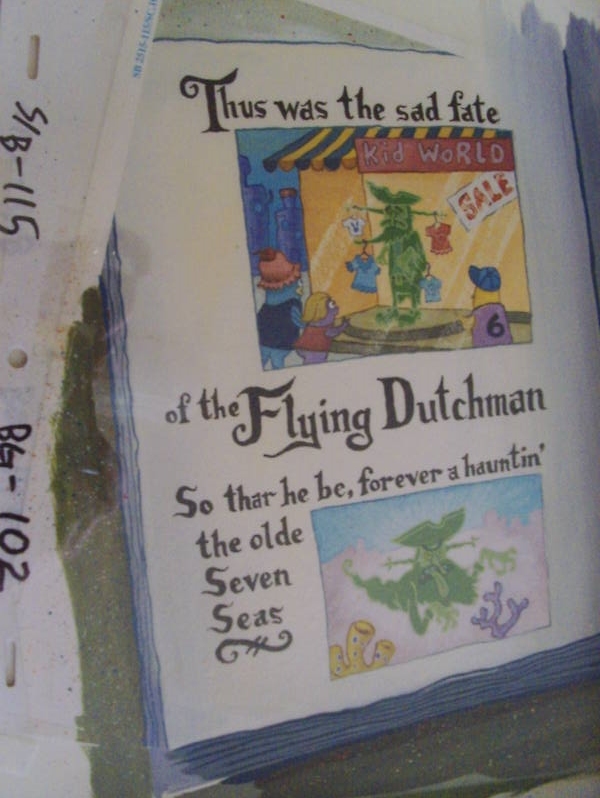 SpongeBob picks up a comic book about the origin of the Flying Dutchman in Squidward’s closet and learns that, when he died, they used his body as a children’s clothing window display. He now haunts the seven seas because he was never laid to rest, glowing a ghostly green as he sails in search of souls. Legend of the Lost Spatula has SpongeBob seeking out the Flying Dutchman’s mythical Golden Spatula to achieve his life-long goal of becoming the greatest fry cook in the deep blue sea. To reach the ghost with the most, he’ll have to hunt down four Oven Knobs (yes, Oven Knobs) to unlock a portal to the perilous Dutchman’s Underworld. The New York-based developer Vicarious Visions included a homage to Legend of the Lost Spatula in its 2002 Game Boy Advance sequel, SpongeBob SquarePants: Revenge of the Flying Dutchman. 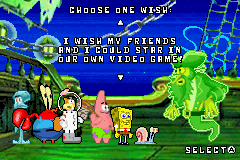 The Flying Dutchman grants SpongeBob one wish at the end of the game, and if he chooses “I wish my friends and I could star in our own video game,” the screen will change to show the whole nautical gang gathered together in the Game Boy Color version. The game is more or less your standard level-climbing exercise with some oddball humor thrown in. For example, when SpongeBob is hit by an enemy, he will lose a pair of pants and be stripped down to his tighty-whities. If he receives damage again, the naked sponge will be forced back to the area’s last checkpoint. Another amusing touch is, when the player remains still, SpongeBob will start busting some funky dance moves. The animation makes up one of the game’s strongest points, although I could do without SpongeBob’s delayed frog-like hops when he goes to jump. In addition to all of the exploring and item collecting that he’ll do in the game’s seven relatively large levels, SpongeBob can stroll around the hub-type town and speak to his neighbors to gain tips, start side-quests, and learn other crucial information like Plankton’s educational background. His Utility Belt can be equipped with one of seven different gadgets that he’ll find along the way, which can be quickly changed by pressing Up and Select. They range from a Bubble Wand weapon that can blow an infinite number of bubbles to Glasses that render him invisible and grant him the ability to peek inside treasure chests. The first area, Goo Lagoon, which is just past the Outer Town, contains the Spatula and the Net Launcher. SpongeBob can bounce on bubbles to hitch a ride on an anchor, which will take him down to a cavern, where he’ll locate the Map and the Spring Shoes. He can use the Jellyfish Net to catch any pesky Scallops that get in his way. A rip tide at the end will send SpongeBob back to Mussel Beach. Heading west from Mussel Beach leads to Sandy’s Park, where SpongeBob can find the entrance to Jellyfish Fields. The rolling hills of seaweed are home to not only Jellyfish but also Urchins, Anemones, Clams, and that blubberhead geek Bubble Bass. Hanging from one of the hedges is a Jellyfish Hive that you can get Squidward to trade for his Glasses (SpongeBob will have to speak to him first to have the quest added to his Goals list). Mother Jellyfish presides over Jellyfish Fields. She’ll drop an Oven Knob after five blows from the Bubble Wand. SpongeBob can now go Downtown to speak with his boss, Mr. Krabs. He’ll have a Krusty Krab Pizza ready that needs to be delivered to Kelpazoic Jungle, the entrance of which is located directly west of the restaurant. The kelp and coral jungle is full of pants-snatching Worms. A rip tide will take SpongeBob to where a hungry fish explorer awaits his pie. He’ll give up his Hydro Dynamic Spatula in gratitude. Outside, SpongeBob can take the floating bubble platforms up to the tree house where Jungle Fish lives. After dodging his seashells, four bubbles from SpongeBob’s Bubble Wand will tame the Tarzan trout so that he can be netted with the Net Launcher to give up another Oven Knob. To the east of Downtown is Outer Town, where SpongeBob can enter the sandy Undersea Desert. Avoiding the Sea Slugs, SpongeBob will eventually go toe-to-toe with Hot Sauce Bandito. This bad hombre will squirt condiment containers at SpongeBob if he’s not careful. Using the Spatula, SpongeBob can serve up five Krabby Patties that will leave the bandit with a bad case of heart burn. He’ll then drop Sandy’s hat, which SpongeBob can give to his squirrel buddy for the Moon Man Catcher and the third Oven Knob. That only leaves one Knob left, which can be found in the Carnival by SpongeBob’s Block. Navigating past the floating fishing lures, SpongeBob can play hooky with them and ride upwards, although he must be careful not to go too high, or he’ll wind up as a fisherman’s catch. He’ll eventually come across Patrick’s lost shorts, which he can swap with him for his Ol’ Reliable, and then the last Oven Knob. With all four Knobs in place, the Oven will open and SpongeBob will fall inside down to Rock Bottom. Leaping along the boulders and rubber gloves of the dark abyss, SpongeBob will arrive at his final destination: a trench leading to the Dutchman’s Underworld. The fiery Underworld is teeming with the spirits of fallen pirates that like to blend into the background. Unfortunately for them, SpongeBob has his trusty Moon Man Catcher on hand. After passing the forgotten city’s ruins, SpongeBob will enter a decrepit old ship: the Flying Dutchman’s private quarters! To prove that he is worthy to take hold of the Golden Spatula, SpongeBob must shove five Krabby Patties into the specter’s stomach. Despite having all of eternity, this green ghoulie doesn’t care much for waiting to be served, so if he’s not fed fast, the Dutchman will start throwing everything from anchors to even his kitchen sink at our porous pal. Once the phantom is famished, SpongeBob will at last lay claim to the shiny Golden Spatula. A prototype of SpongeBob’s first foray into gaming was auctioned off in May 2014 by Jason Wilson, a former Tips & Tricks magazine senior editor. 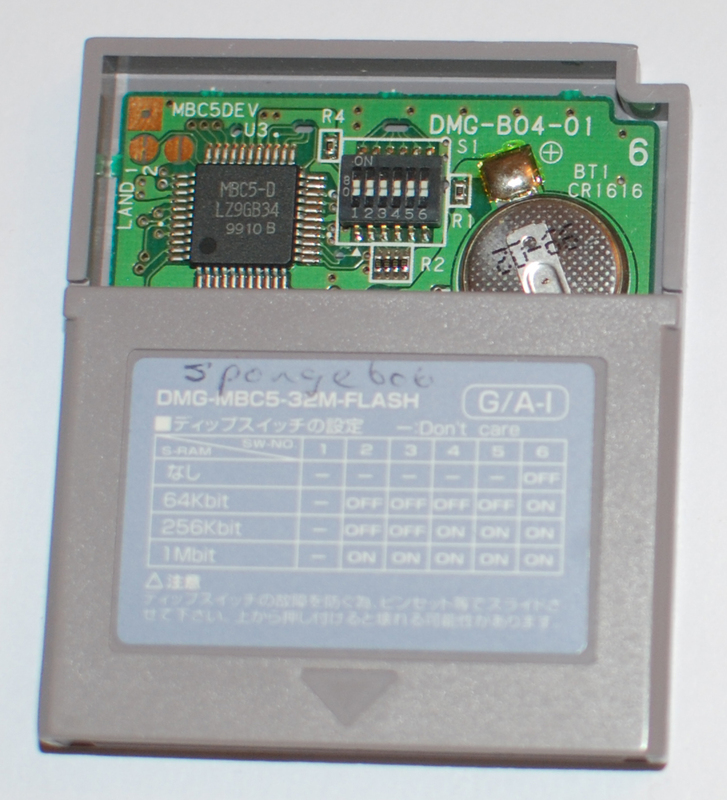 The game is contained on a Nintendo DMG-MBC5-32M-FLASH development cartridge (marked “DMG-B04-01” on the circuit board). “DMG” is short for Dot Matrix Gameboy, while “MBC” is an acronym for Memory Bank Controller. More specifically, “MBC5” allows for an expansion of up to 64 megabits, or 8 megabytes, of ROM and up to 1 megabit of RAM for saves. “32M” refers to the cartridge’s size of 32 megabits, the equivalent of 4 megabytes. “FLASH” is short for flash memory. 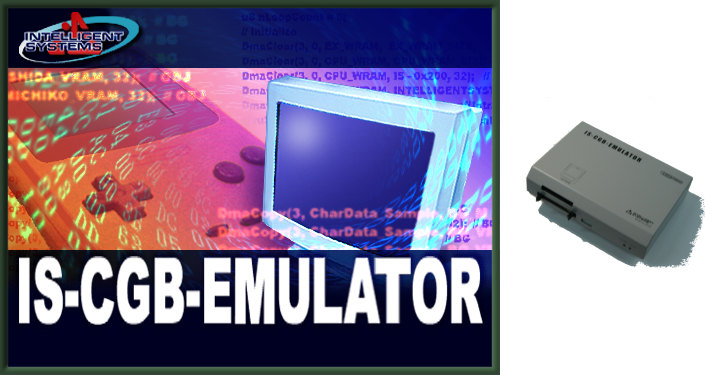 Licensed developers used to rely upon bulky official development tools called the IS-CGB-Emulator or the DMG Flash Gang Writer, which were made by Intelligent Systems, a Nintendo subsidiary, to push game data to this type of cartridge for testing or marketing purposes. 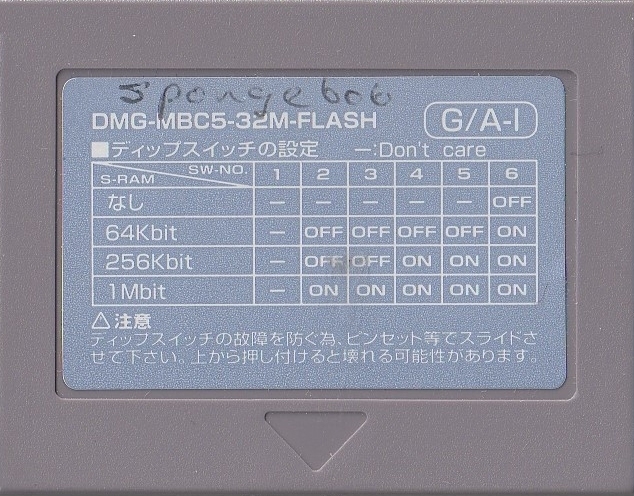 A DMG Flash Gang Writer particularly came in handy for writing to a large number of development cartridges, as eight could be flashed at the same time (link, link). In Japan, Nintendo also sold consumer-level flash cartridges through a service called Nintendo Power (no relation to the dearly departed American magazine). Japanese players could use designated store kiosks to transfer older Game Boy games onto these rewritable cartridges, which stored a maximum of 1 megabyte ROM and 128 kilobytes RAM (link). 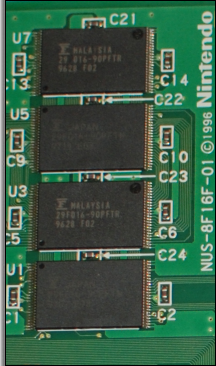 Due to this flash memory storage technology, backing up a Game Boy Color prototype with a standard EPROM programmer is not possible, and instead will require the use of impossible-to-find dumpers like the GB X-Changer, which work only with a parallel port, a component that is missing from most modern computers. 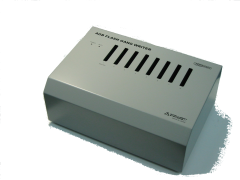 Enter the Altane Cartridge Programmer. Billed as having the most functionality of any Game Boy Color copier on the market, it reportedly handles everything from unofficial Bung Doctor GB cards to official Nintendo flash cartridges, the USB-powered accessory is sold by ASM Retro, an indie store that caters to modders and chiptunists. Regardless of my not fitting into either of those camps, I knew it was time to wrap myself in a designer tribal scarf, fashion a layered necklace out of glow sticks, and start investing in flannel. True to their word, the Altane had no trouble transferring over the prototype’s data. Since it operates as an FTDI device, all that is required is a Windows Virtual COM Port (“VCP”) driver, which I downloaded from FTDIchip.com. After installing the driver setup executable by simply double-clicking on the file, I could then plug the Altane’s included USB cable into my computer and open its official software. Inside the program, all of the options are laid out in an easy-to-understand, user-friendly fashion. 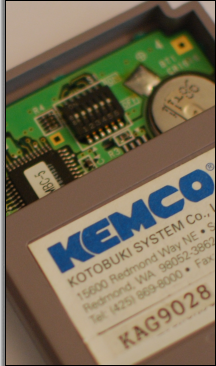 “Detect cartridge” was able to correctly read the game via its internal ROM header. 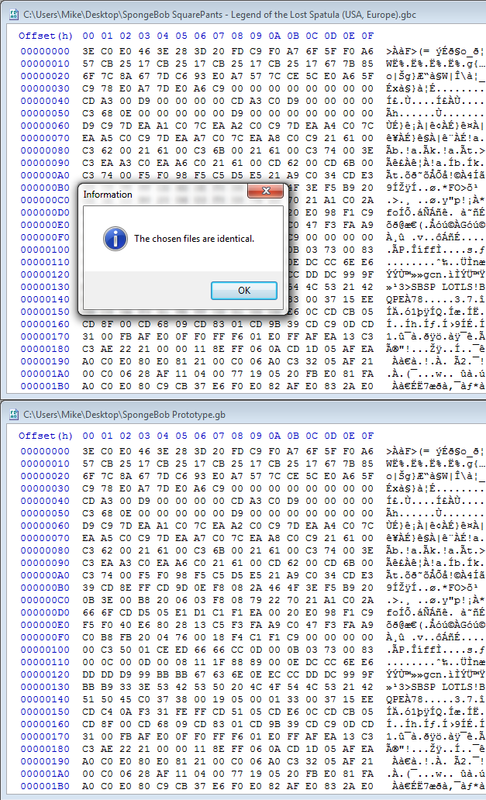 After choosing “Dump,” I was prompted to enter a name for the .GB file before the 1 megabyte ROM image proceeded to save. Having spent $75 on the Altane, I was the last to pre-order the limited edition “Toxic Green” shell before it sold out, I wasn’t thrilled at the results of a file comparison between the pre-release and the North American/European retail version. SpongeBob was a big old briny bust. I’ve become all too acquainted with this kind of disappointment. Years of inadvertently buying same-as-final magazine PR samples, and now Hasselhoff’s gently used swimwear, have slowly turned me on to the seedy world of sadomasochism. I’m beginning to almost enjoy paying for all these senseless whippings.